Subscribe to receive an email when we post new recipes and articles. We recently posted The Anatomy of a Smoothie. Much like a smoothie, a green salad is a great way to get more healthy greens, veggies, fruits and nuts into your meals. I know a lot of people view salad as a diet food but salad can be extremely delicious and satisfying. Mix it up and experiment. All of these ingredients have so many vitamins and minerals and micro-nutrients. This is the stuff your body craves. We hope you’ll find this Anatomy of a Green Salad helpful. Greens – This is the base for your salad. Use dark green leafy veggies of all sorts. Spinach, kale, romaine lettuce, arugula, spring mix. The darker the better. 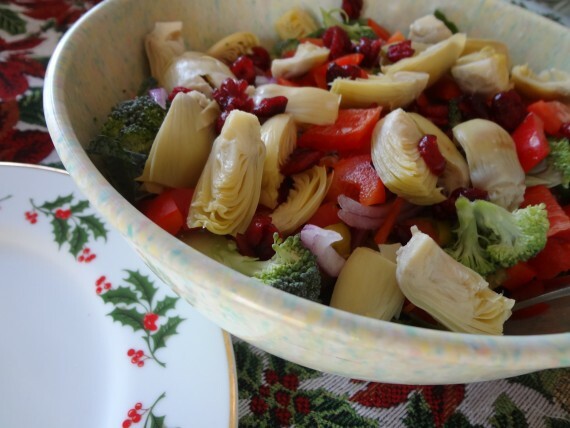 Raw Vegetables – Use whatever you like. Some staples for us are carrots, celery, red, orange and yellow peppers, broccoli, onions, tomatoes. Use just one or two or chop away and add a bunch of different veggies. Extras – These are some of the ingredients that can take a salad from ordinary to extraordinary. 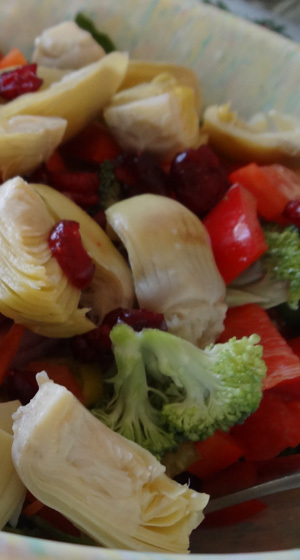 Artichoke hearts, roasted red peppers, pepperoncini, capers, mandarin oranges, grapefruit, apples, corn, beans, bean sprouts, chickpeas, whole wheat pasta are a few that come to mind. 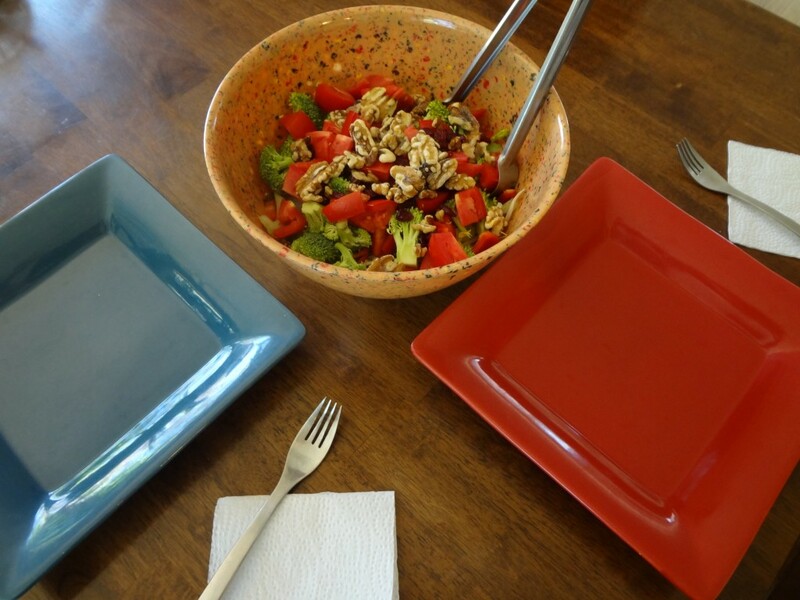 Toppings – Simply adding raw walnuts brings a salad up a few notches. Experiment with different nuts and dried fruits and crunchy toppings. Dried cranberries, sun-dried tomatoes and croutons. Dressing – Tahini Garlic Dressing is my absolute favorite. Ranch Dressing is good too. Don’t buy store bought dressing. It has so much junk in it. Try just lemon juice or balsamic vinegar. Or mix vinegar and oil with salt and pepper for a quick simple dressing. See all our Salad Dressings. We will continue to add to these to give you more ideas. Get creative and keep it simple. A favorite of mine when I just want a quick salad but one that is substantial and sticks to your ribs is: spinach, tomatoes, red onion, walnuts and Garlic Tahini Dressing. Quick and easy to throw together and so delicious. We like to keep that dressing on hand. It’s awesome over sweet potatoes and on a wrap too. Sometimes 3-5 ingredient salads can be so delicious. What are you favorite salad combinations?